华觉明著. 中国古代金属技术 铜和铁造就的文明. 郑州：大象出版社, 1999：200-201. 苏荣誉. 秦始皇陵铜车马. 引自：郭书春 李家明.中国科学技术史·词典卷. 北京：科学出版社，2011：281. Bonnie L. Hendricks. International Encyclopedia of Horse Breeds. University of Oklahoma Press, 2007：124-125. Peter J. Golas. 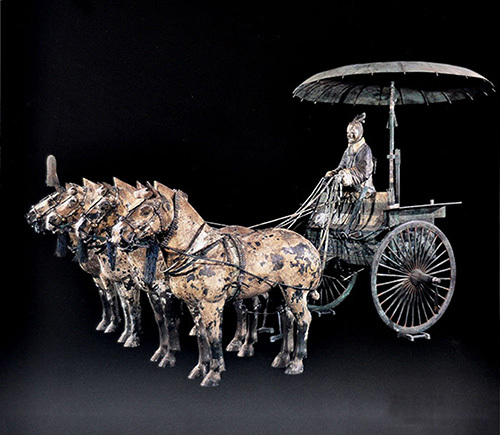 Picturing Technology in China: From Earliest Times to the Nineteenth Century. Hong Kong University Press, 2014：27-278.